PE0222. Candide (Bernstein), recorded 1985, w.Mauceri Cond. 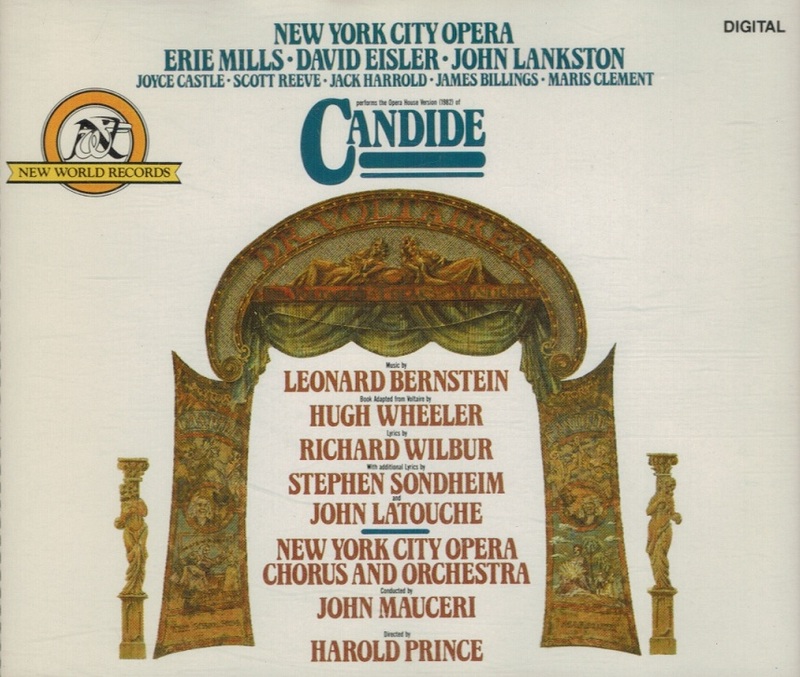 New York City Opera Ensemble; Erie Mills, David Eisler, John Lankston, Joyce Castle, Jack Harrold, etc. 2-New World NW 340/41, w.35pp. 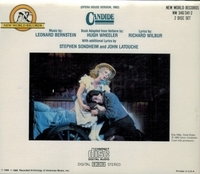 Libretto-Booklet. Choice, ever-so-slightly used copy. “Bernstein gave a credibility to American musicianship that hadn’t existed before, easing our sense of inferiority. He came along and did what seemed impossible: bringing Mahler back to Vienna!